Only 54% of 18-34 year-old New Zealanders expect to have their own home, and only 30% expected to have New Zealand Superannuation at retirement. "Generation KiwiSaver" research conducted by Horizon for the Financial Services Council finds younger New Zealanders are increasingly reliant on KiwiSaver as their main source of income when planning for retirement. That means a wake-up call when it comes to financial planning. The research examined what 18-34 year-olds expected in their retirement, how this would be funded, and their confidence towards future planning. 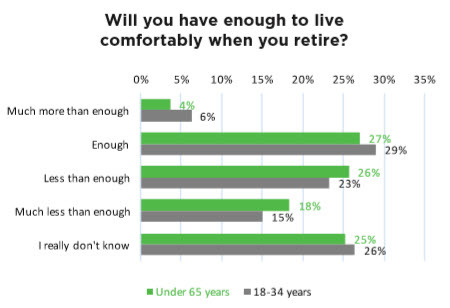 Only 35% think they will have enough income to live comfortably when they retire. 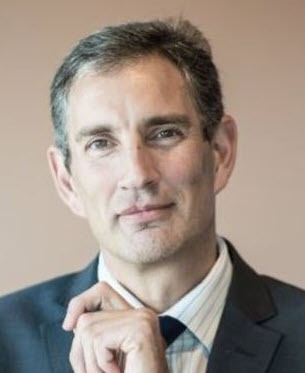 “What we saw was an increasing reliance on KiwiSaver as a majority source of income in retirement planning, and a plea for more help with financial advice and retirement planning ”, said Richard Klipin CEO of the FSC (pictured). “It’s clear that millennials are going to be Generation KiwiSaver. Owning a house and relying on New Zealand Superannuation are options younger New Zealanders simply aren’t counting on. “This is a significant change from previous generations where a ‘she’ll be right’ attitude and owning a mortgage-free home was the extent of retirement planning for many, said Mr Klipin. “Given this and the higher expectations from millennials of their retirement income the research delivers a wake-up call for industry, Government and young people themselves. “An overwhelming number of under 35s want the law changed so that minimum contributions to KiwiSaver are lifted gradually. So there’s a clear wake-up call for our politicians about the need to keep on strengthening KiwiSaver. “The research shows that millennials more than any other age group support financial advice being provided in new ways such as via robo-advice, and want a personalised financial plan. So there is a clear wake-up call for industry about the importance of continuing to innovate and improve the ways in which financial advice is provided. “And perhaps most importantly of all it’s a wake-up call for young New Zealanders to begin to diversify away from a pure KiwiSaver approach, and to start becoming more engaged with their KiwiSaver investment. “The evolution of millennials into Generation KiwiSaver will bring a new set of challenges. However, I’m confident that with good planning, education, and regulation that we will be able to deliver financial security for younger New Zealanders into retirement”, concluded Mr Klipin. Younger New Zealanders aged between 18-34 expect KiwiSaver to be the primary asset that will help fund retirement. Under 35s are no longer relying on property ownership and Superannuation to fund retirement as other age groups have. 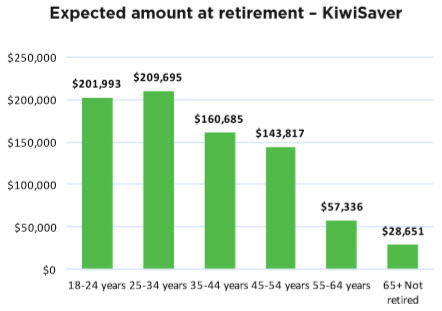 Despite having a lower asset base Generation KiwiSaver have a higher expectation on the income needed to retire than the primary working age group – 2% higher at $754 a week. There is likely to be a $205 weekly shortfall between expected retirement income and actual retirement income for under 35s. Under 35’s overwhelmingly support a law change to gradually lift the minimum contribution rate to KiwiSaver. This study was conducted, on behalf of FSC, by Horizon Research online among a nationally representative sample of New Zealanders aged 18 years and older. The sample was 2,199 respondents, distributed throughout New Zealand including both capital city and non-capital city areas. Following the completion of interviewing, the data was weighted by age, gender, sexual orientation and region to reflect the population estimates for New Zealand.